FLORIDAYS makes that "special" day an event to remember. Casual or elegant, just the two of you or up to 28 of your friends. Imagine your wedding ceremony aboard as the sun dips slowly into the azure blue sea. 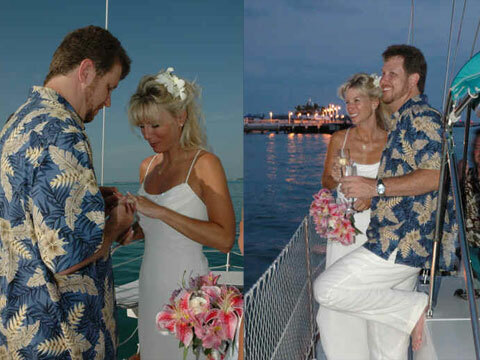 Though surprisingly affordable there is no other way to create the romance and memories that a wedding on FLORIDAYS provides!